Allsop it. Owen. Alcohol Carburetters, by. — Oil and Turpentine Corporation, Ltd.
Clean Counties. Lie r . s a, , iS! (dement Talbot 1 , 20 p. C 'By-. Clincher Tyres f-orrs - R \'.iVei. Clutches, Fierce, 717 Coachbuiiders, British. C.O.G. (letter), 897 - . Collision. Taxicab and Motor Char-a-banc (illus. ), 1159 - . Colonial and Foreign Edition of Inc Autocar. — Tvre and Rubber Co. (Great Britain), Ltd. Danger and Direction Signs, A.A.
Deutrich. M., and P. Schuttler, G. Johannes. — — Retreading. Value of. 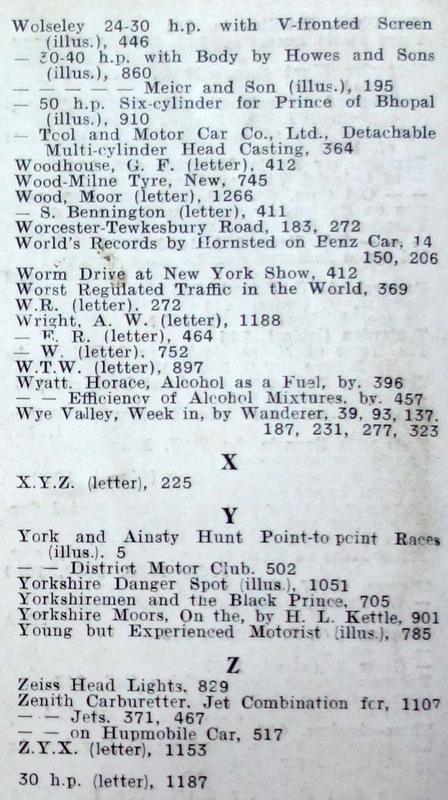 Inn, Historic, The “ George,” at Norton St.
Leaves from a Sportsman’s Notebook, by J.
Manxlnnd Ten Years of Motoi Racing, by 11. — D., and Sons, Ltd. ^letters,, 88. Queries and Replies. 37, 91, 135, 185, 229. 275, 321, 371, 417, 467, 517, 565, 613, 663. 709, 755. 801. 851, 899, 953, 1003. 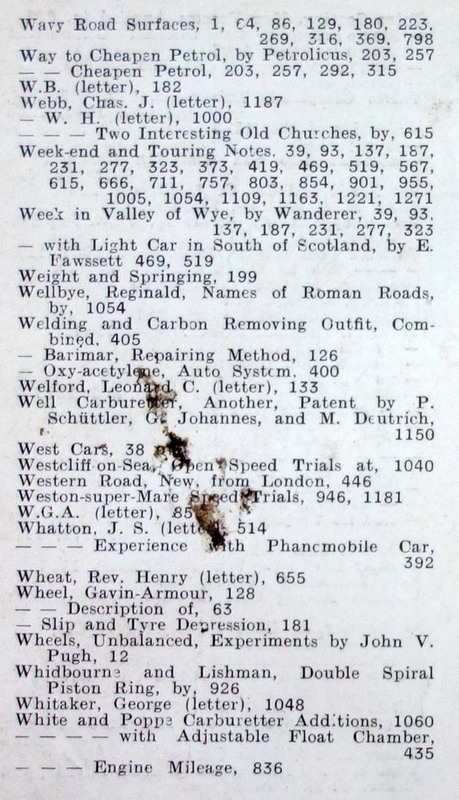 — Light Car Trial, Owen John and, 963, 1102. Raudoui Notes Rouud T.T. Course, Sup sir . — Sydney, Negotiating a Water Spla«li, by. South-east and Soutli-west of r ranee. Motoring in, 15 - . - Seotand. 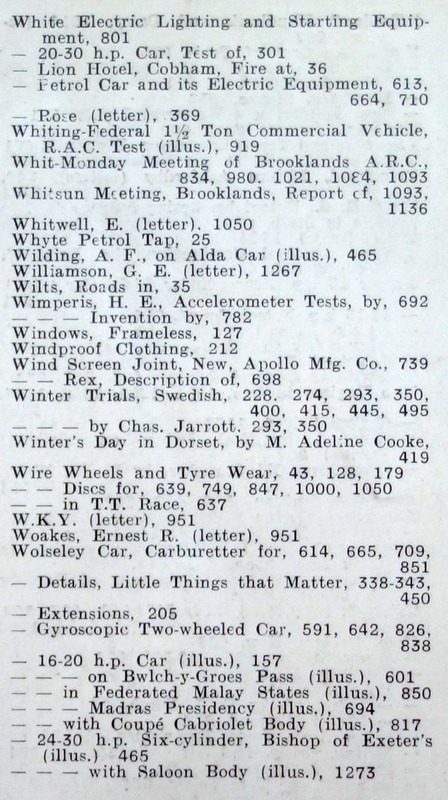 Week with Light Car in, by E.
— Recorder, Magnetic, Warner, Description of. .-ByabiM. SA 1» 225. 365. This page was last edited on 9 May 2018, at 12:49.